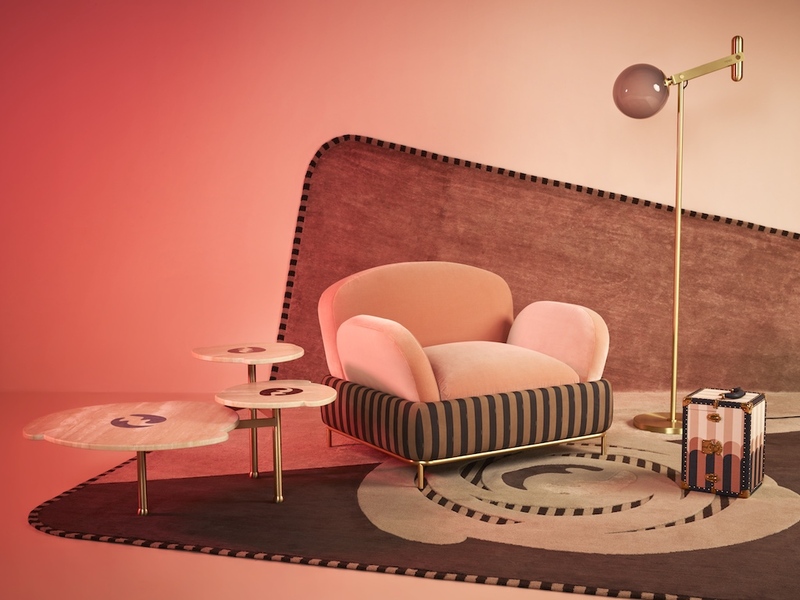 Partnering again with world-renowned architect and interior designer Cristina Celestino, FENDI introduces its “Back Home” collection as part of the FENDI Casa exhibition during Milan Design Week, running from April 9-14. 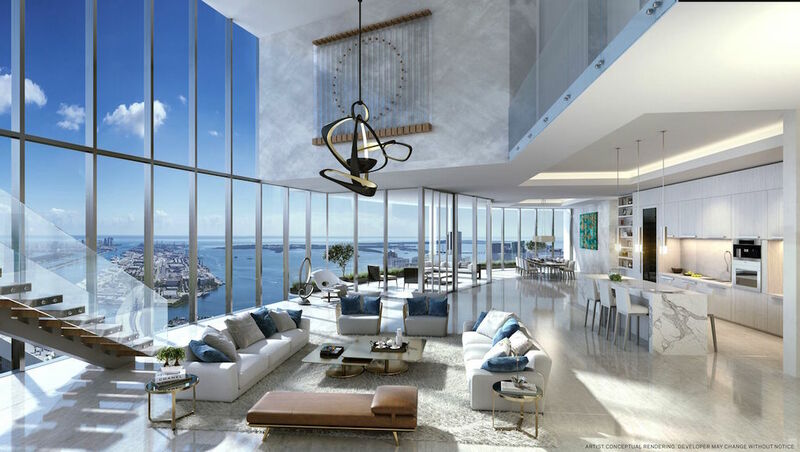 The Via Solari space will showcase the FENDI Casa installation with its newest pieces designed by Celestino, produced by Luxury Living Group. 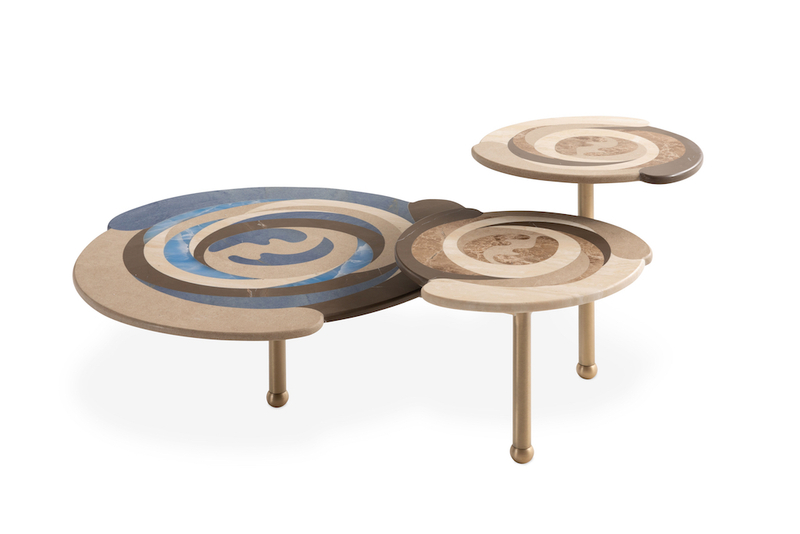 Celestino and FENDI Casa first worked together for their successful “Happy Room” project, showcased at Design Miami/ in 2016. 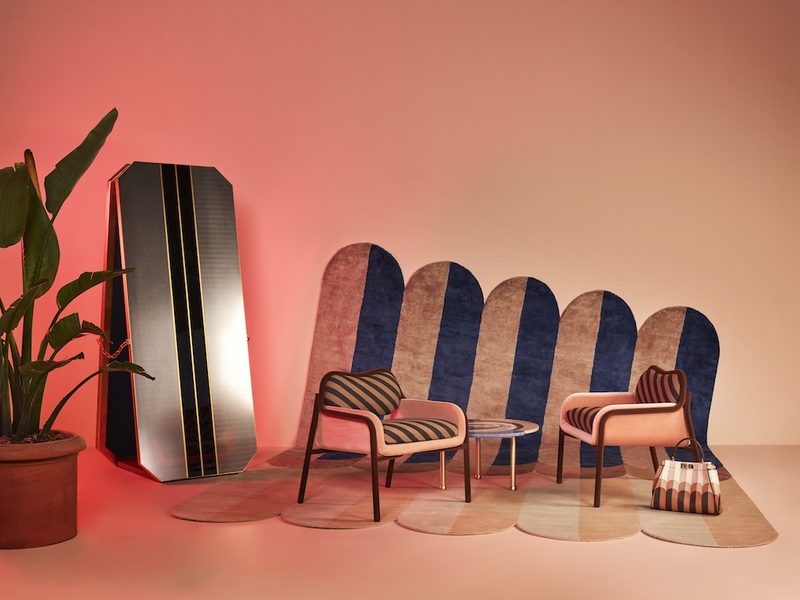 The brand has worked with up and coming designers in Miami for quite some time, but now it is taking these collaborations to the next level and offering the potential to make an international market debut. 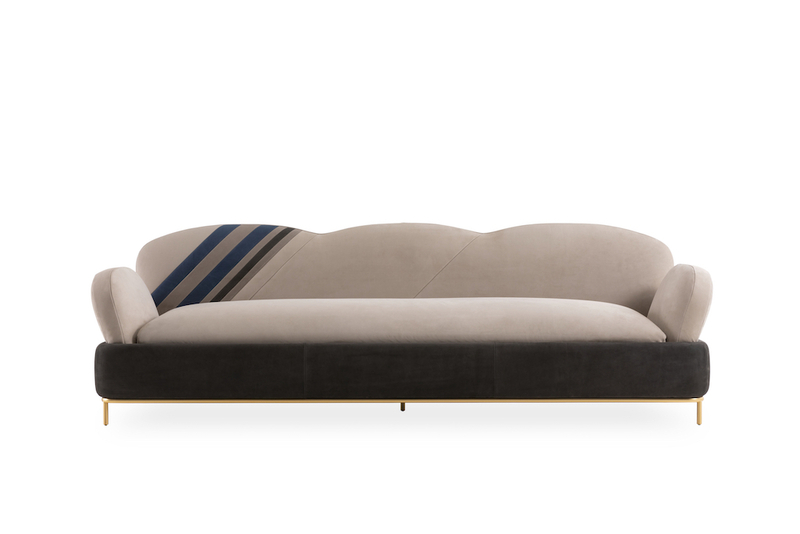 The Roman luxury house’s signature Pequin striped motif is prominently featured, as an ode to the brand’s history of being a leader in sophistication and elegance. 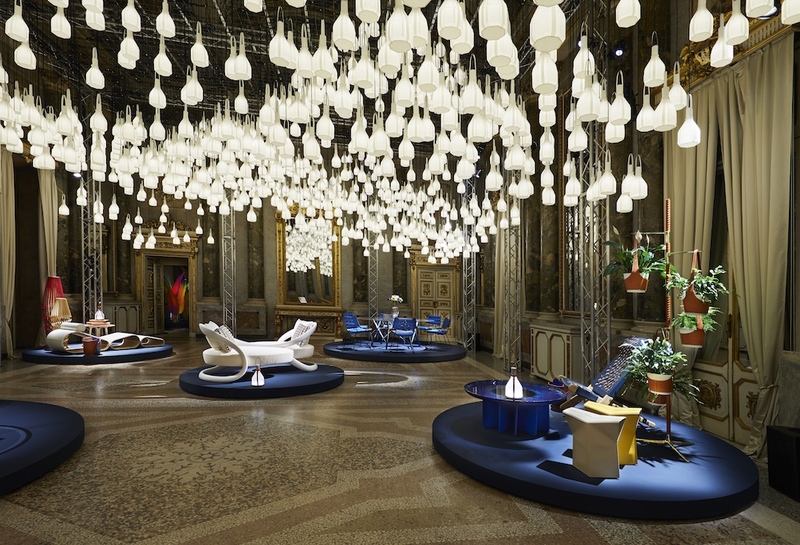 However, Celestino has reimagined and redeveloped the motif—which was first introduced in 1987, as was the FENDI Casa interior design line—creating a variety of statement pieces at the exclusive installation. 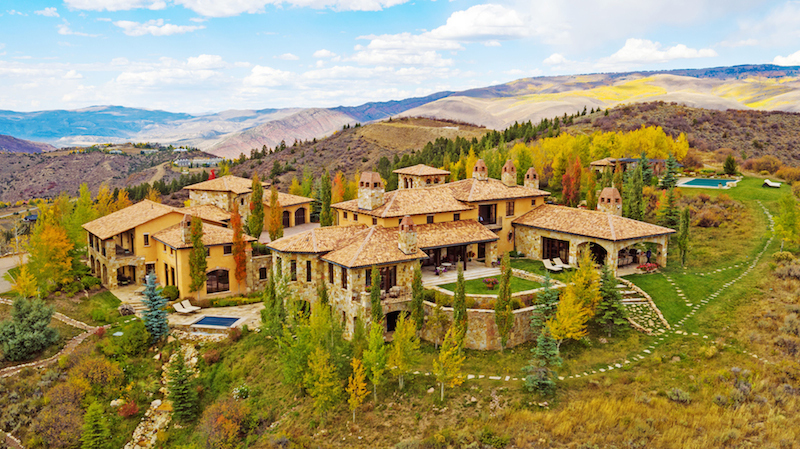 The installation itself recreates an upscale Roman house from the 1970s with a large Pequin tent, as well as an area decorated to resemble an outdoor Roman terrace with terracotta flooring and antique sculptures. A wide range of interesting materials and textures are featured, including marble, onyx and metallics. 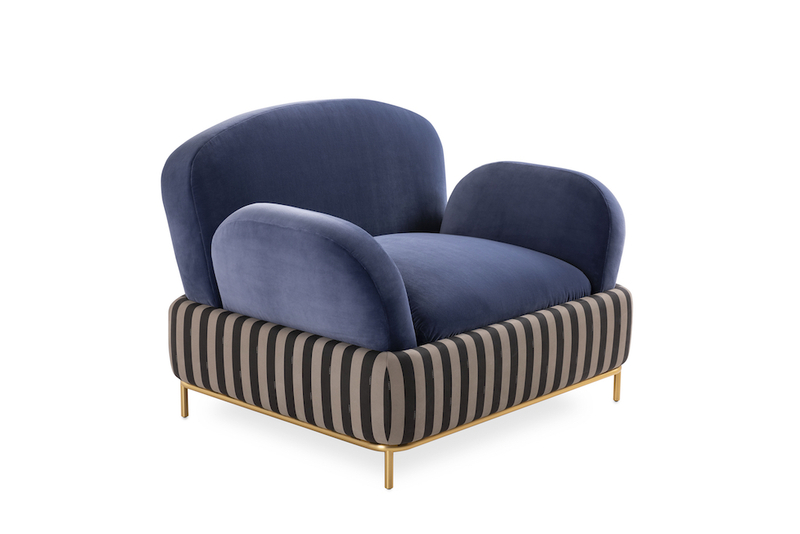 Pequin stripes are proudly embellished on a variety of pieces, in strong and straight geometric form and even in softer, curved form, on carpeting, furniture pieces and décor items. 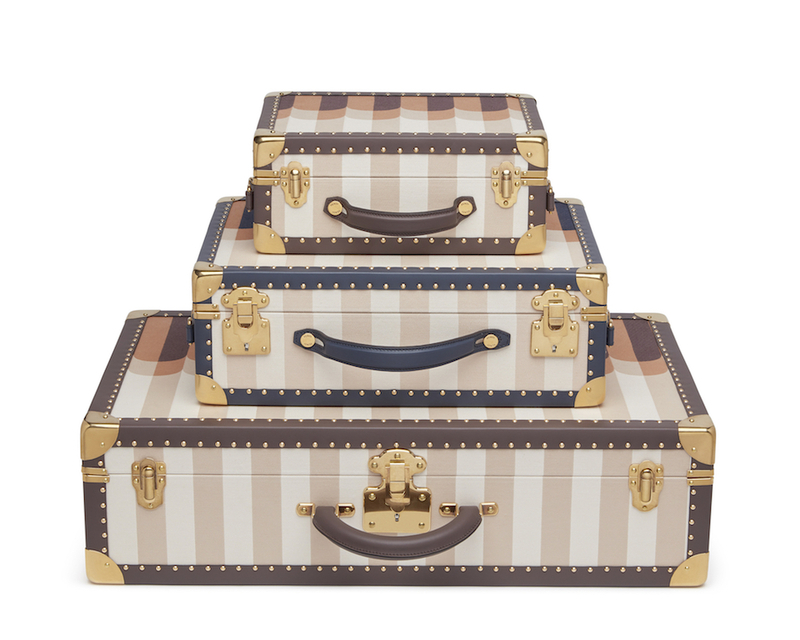 To complement the interior design collection, Silvia Venturini—Men’s and Accessories Creative Director—designed an exclusive collection of luggage with the Pequin motif. available in classic colors of tobacco and black, as well as the new blue, beige and powder pink color way.